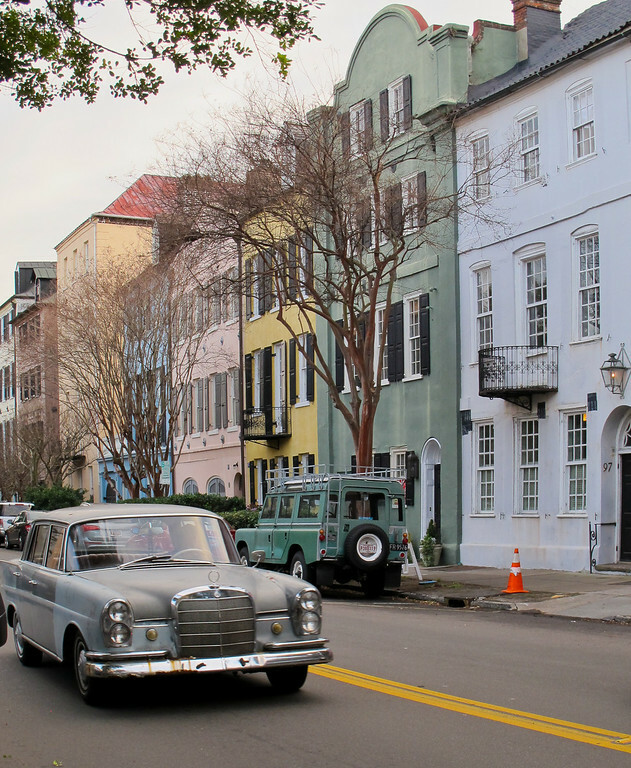 I forgot to boast that Charleston Magazine used one of my pictures on their last page in February. Pretty cool since I was actually featured myself in January. They always feature one single picture on their last page each month and after spotting this one they emailed asking permission to use it. Then they asked me to bill them. Hello! How fun is that? Pretty darn fun I say. 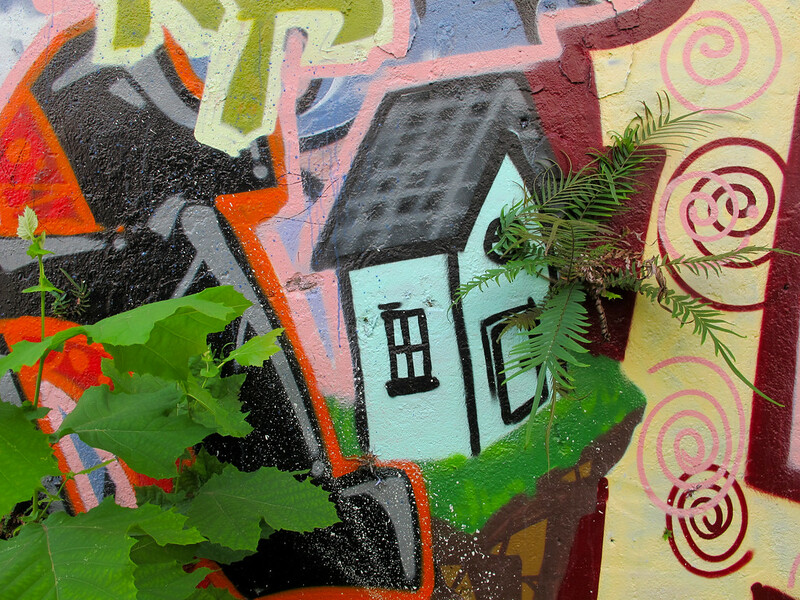 This bit of graffiti wall is in an alley on upper King St. It is normally gated off but they left it open one day and that was enough for me. Labels: Graffiti, house plants, King St.
Humphrey Court clean up crew. It appears to be written on the lid of a garbage can. I don't think I've seen that in Southern Living magazine. 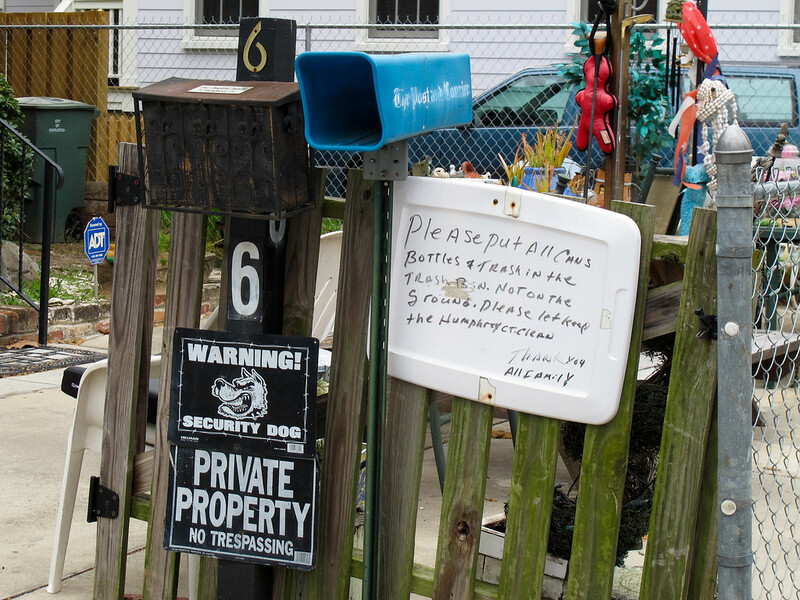 Looks like a character lives here. Isn't this house a beauty? I am so lucky to live here and walk by these gorgeous places every day. 1. I once won $10,000 in travel from the old Rhodes Furniture store on Sam Rittenburg Hwy. My kids were younger then and I dropped them off with my parents for the summer and went around the world. I rode a train through the Canadian Rockies, hiked on Vancouver Island, explored Hong Kong, stayed on a houseboat in Kashmir, enjoyed a lazy canal boat in France and finished off in London. I spent every last cent. 2. Although I am not opposed to eating meat I rarely cook it. I live on scrappy salads at work and simple healthy meals at home. A friend recently told me I was a "lazy vegetarian". 3. I took my own delivery pictures. Shut up. Don't picture it. 4. I grew up without a tv and had only seen three movies by the time I was seventeen: The Sound of Music, Ben Hur and Love Story. I've been making up for it ever since. 5. I walked across England from coast to coast and at the end I weighed exactly to the dot what I weighed when I started. I kept thinking I was going to walk off all those big English breakfasts. Ooops. 6. I consider flavored tea hot juice. Yuck. 7. I once failed a septic tank inspectors course in West Virginia and I'm still pissed about it. It was a rainy afternoon, I was hanging out with a couple of hippies and tagged along. I never wanted to be a septic tank inspector but they failed me because they didn't want a little gal passing the test, no one stood up for me and I didn't fight it. Grrrrr. Whew. Seven. That's it! I am not going to name anyone but if you drop by please join the fun and come up with seven things most people might not know about you. I mean YOU. Leave a note in comments letting us know you are playing along so we can read them. 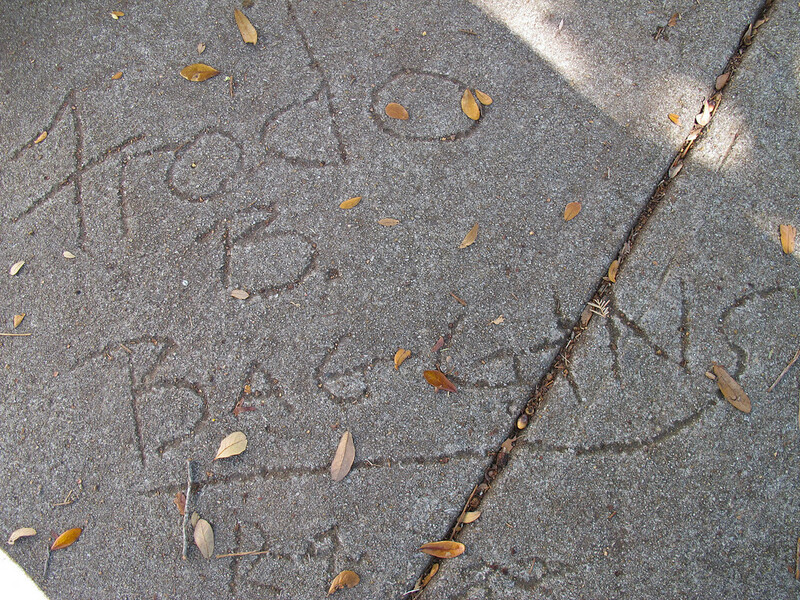 Frodo B. Baggins, Coming St., Charleston, S.C.
Did Frodo have a middle initial? 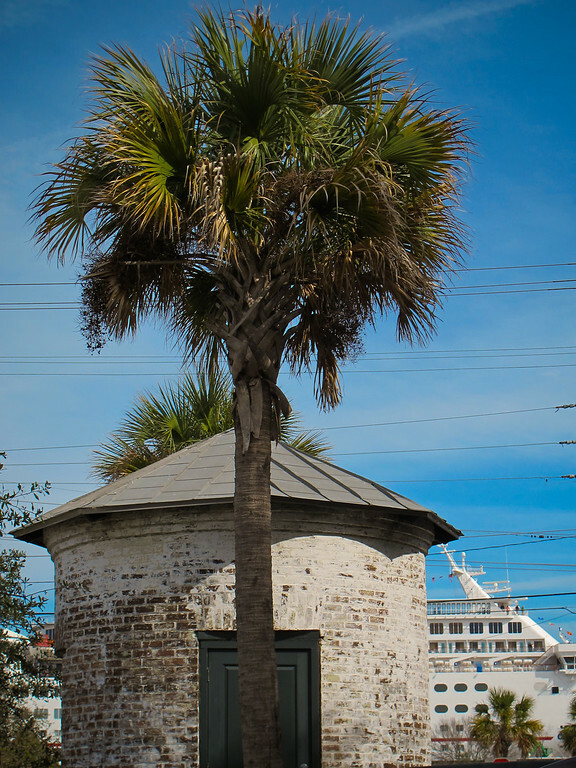 The Shrimp King, Coming St., Charleston, S.C. The Shrimp King on Reb's Corner. Who is Reb and how did he get his own corner? Door, 79 Line St., Charleston, S.C.
Wonder what this fellow does for a living? He has made his occupation musically clear with art work. 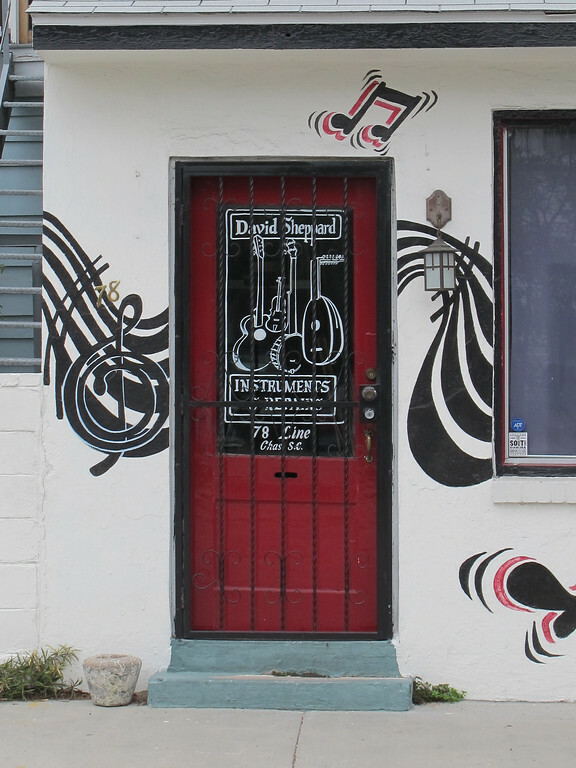 Googling his name I found a testimonial reporting that he is the best instrument repair person in town. Labels: Charleston Doors, Doors, Line St.
More good eating coming to Upper King St.
Old Bank of America, King St., Charleston, S.C. I walked the upper peninsula this morning and walking back down King St. grabbed a "before" shot of the old Bank of America. I am so happy to hear it is going to be turned into a restaurant by Chef Mike Lata and partners. What an exciting use of the space! Some of the best food I've ever tasted was cooked by Mike Lata. I can't wait to see what they come up with. 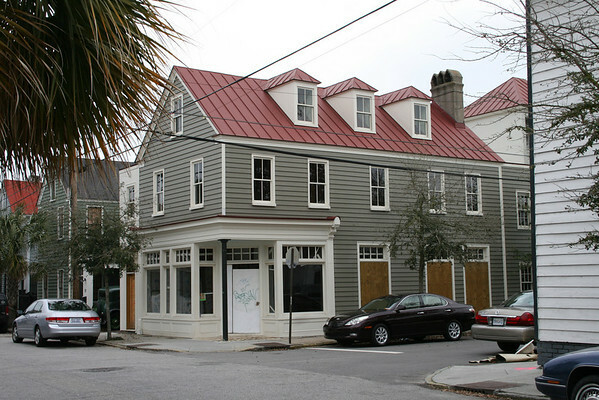 Charleston City Paper has more details: FIG owners opening restaurant on Upper King and I snitched this image below from their article. After months of rumor, speculation, and innuendo, the deal is done and it's official. 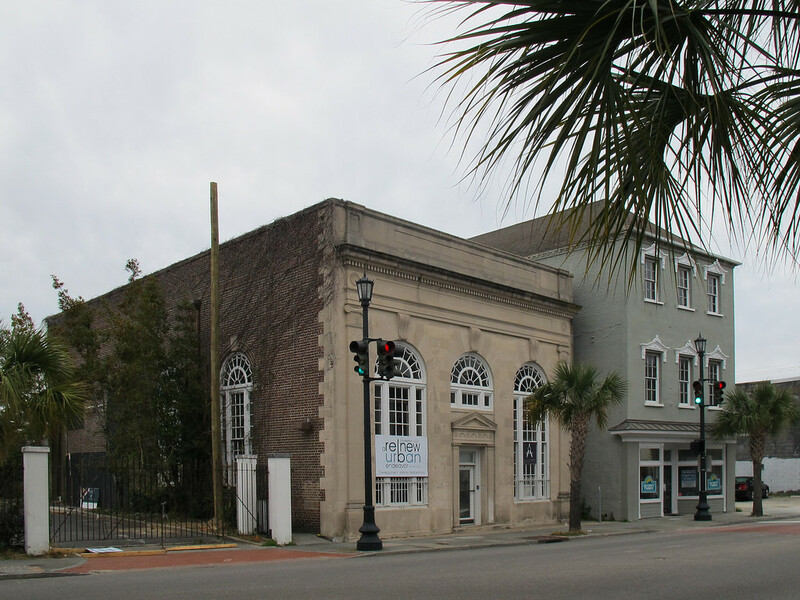 Mike Lata and Adam Nemirow, the duo behind the acclaimed FIG, have purchased the vacant Bank of America building at 544 King St. with plans to open a new restaurant in the space by Sept. 1. "We are so psyched about the concept," says Lata. "It's the perfect idea for the perfect property." Just what is the concept? 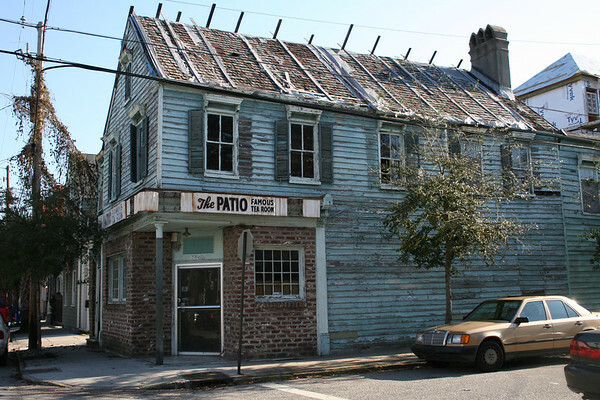 Lata's a little cagey about giving up too much information, but he did confirm that it's going to be an oyster bar. The vibe will be very high energy and casual. "The general feel is a community restaurant," he says, explaining that they want to be a place that folks can drop by for a snack, a drink, or a full-blown meal. "It'll be fun, energetic, and visually striking," he promises. Most cruise ship visits seem to happen during the week when I am at work and I've barely noticed the impact. It is a startling sight to see the huge Carnival Fantasy pulled up right at the end of Market St. Usually I can tell when a ship is in town by the huddle of people clustered on the sidewalks around places that have free wifi. I don't what the arrival and departure times are but the streets were packed and restaurants were full today. Was something else big going on in town? I had to reward myself for my morning of hard labor cleaning out my attic so I walked down and enjoyed a chicken pita pocket at Tabbuli Grill's new outdoor patio. By the time I left every table was full. 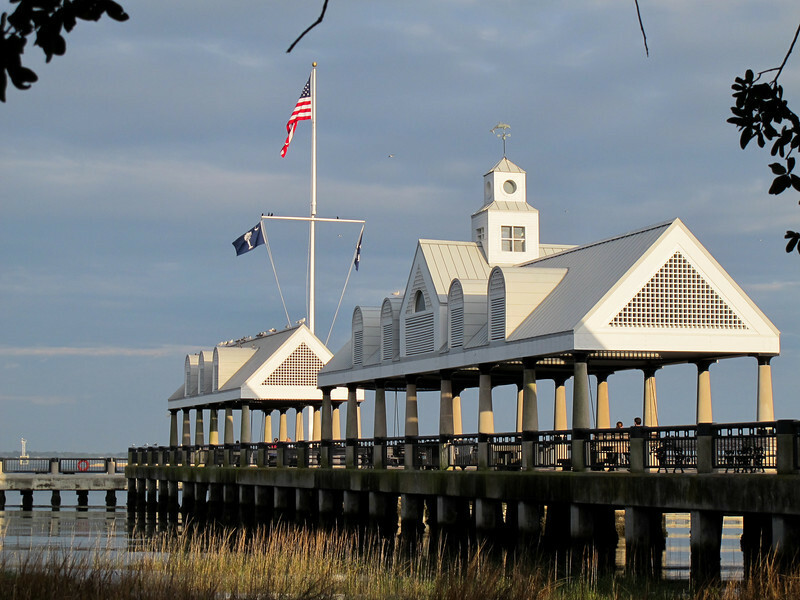 Carolina Yacht Club, Charleston, S.C. 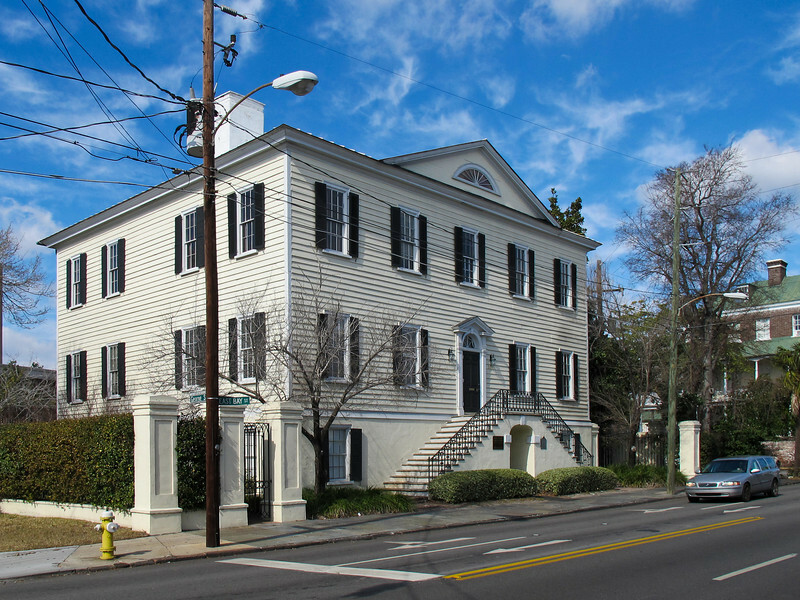 This is part of the Carolina Yacht Club on East Bay St. If I recall correctly this building used to be owned by the Shriners. I remember being at events there before it was absorbed by the Yacht Club. Is everyone having a nice relaxing Saturday? I'm not. I roped my son into coming over to help me clean out the attic. Aaaaack. Why do people ever put things in the attic? We had boxes of books from twenty five years ago. I asked him if he wanted the dusty copy of Modern Electronics. Heheh. I found the dolls I mailed home to my daughter from Hong Kong before the British turned it over to China. They were copied from the Cabbage Patch dolls and called Rice Paddy dolls and instead of birth certificates they came with British passports to get them out of Hong Kong before the change. Cute. I think I need a long soak, a cuppa tea and a Klondike bar as a reward. Labels: Carolina Yacht Club, East Bay St.
Don't cut the wires, Charleston, S.C. 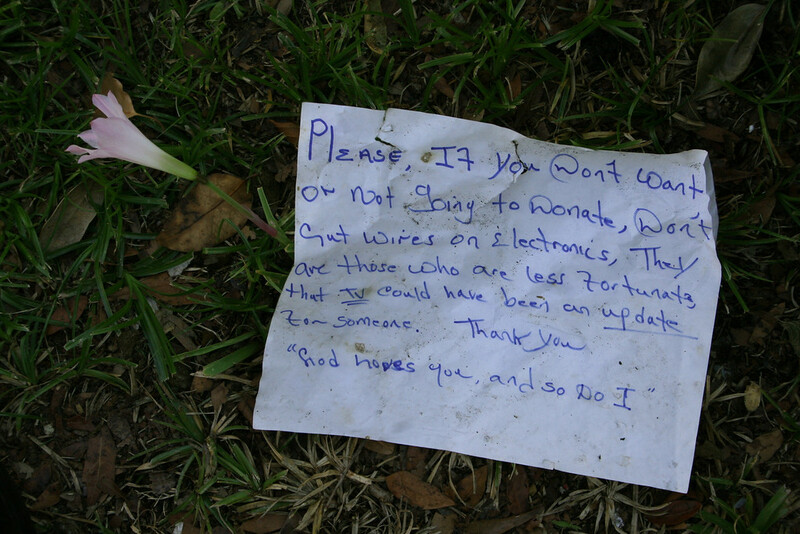 Please, If you don't want it or not going to donate, don't cut wires on electronics. They are those who are less fortunate that TV could have been an update for someone. Thank you. "God loves you, and so do I." 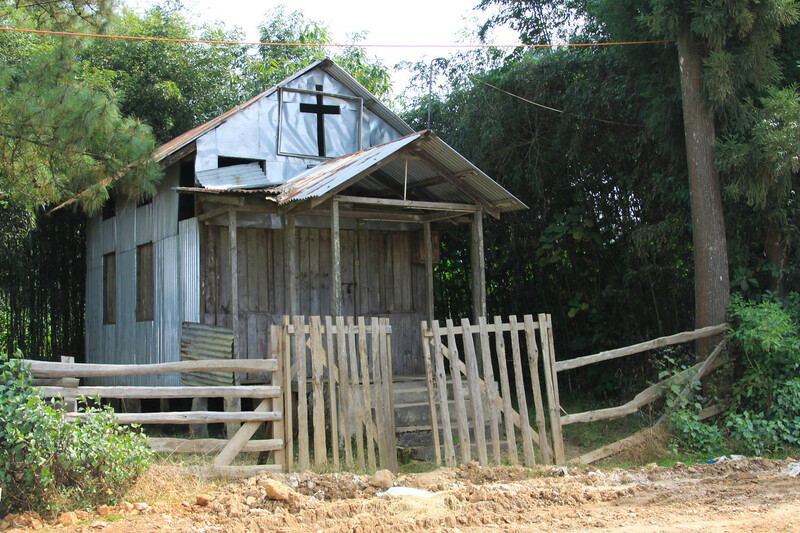 I am taking you off the Charleston peninsula this evening for a tour of Christian Churches in Northeast India. 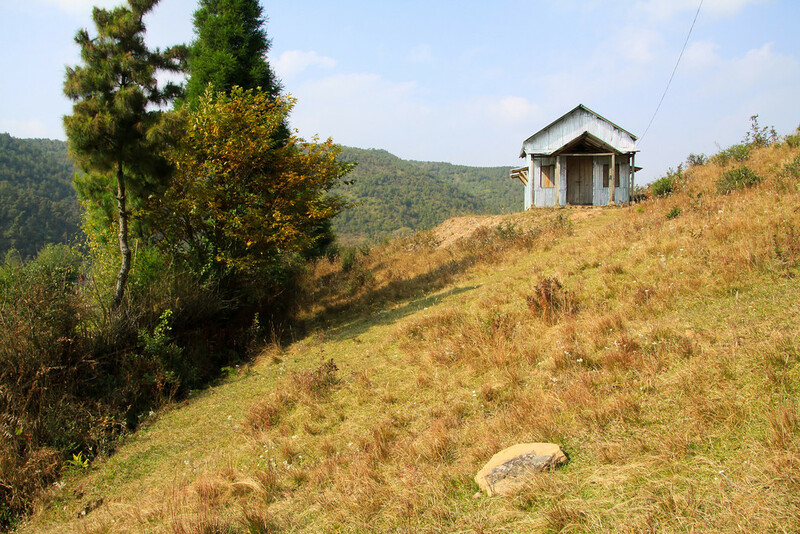 The first one was far north in Arunachal Pradesh and in a military encampment area. 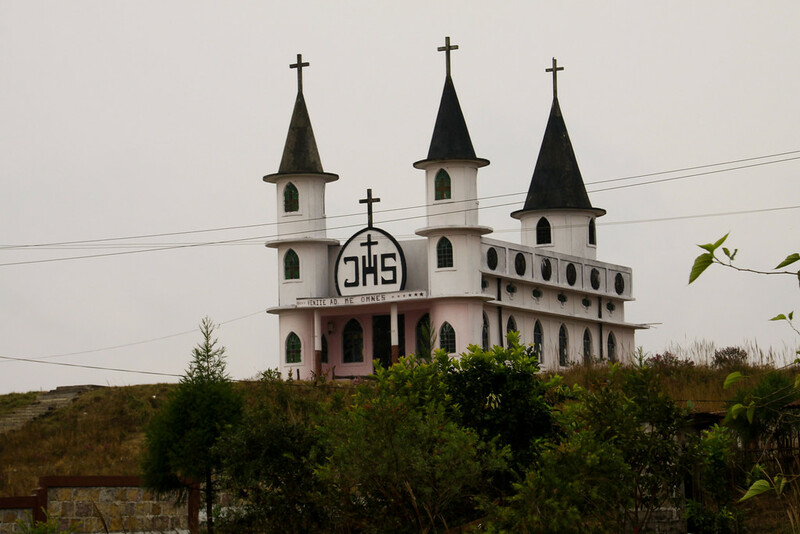 I nodded, tried to look innocent and showed my camera to the Indian Army soldier guarding the remote border area to let him know I simply wanted a photo of the church. I am not sure about this one. Any ideas? 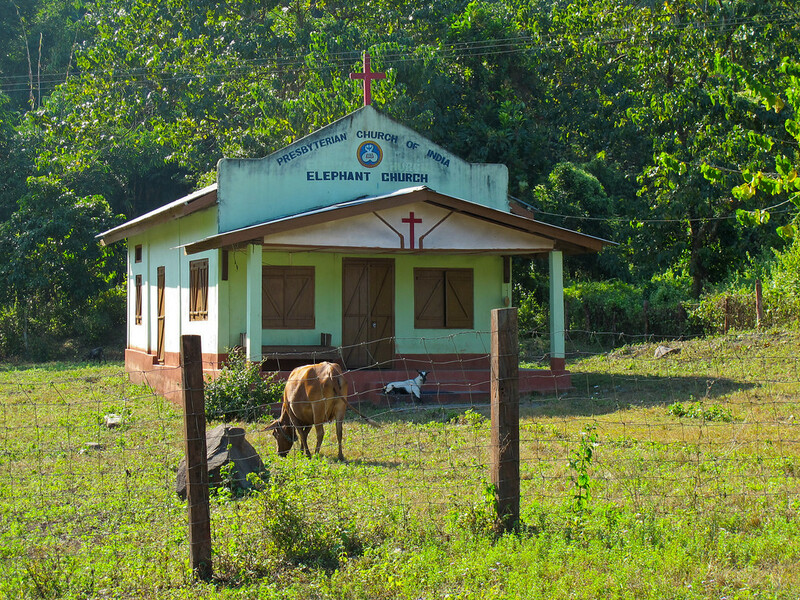 Certainly a surprising sight on a country road in the hills of India. The wording above the entrance is the latin "Venite ad me omnes" which means "Come to me all". I am guessing it is a Catholic Church. 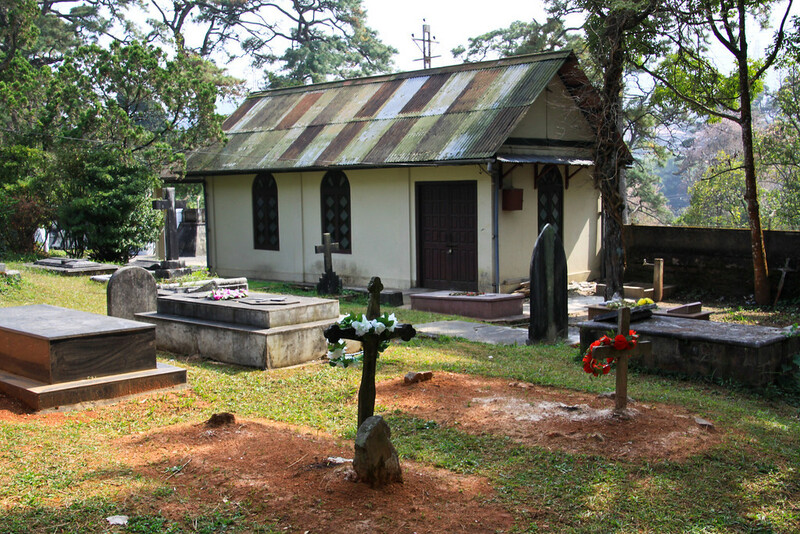 This is an Anglican Chapel in the old British Cemetery in Shillong. There were relocated tombstones from the years of British occupation here. I spotted this one perched on the side of a hill on a hike up to the Khasi Sacred Forest. 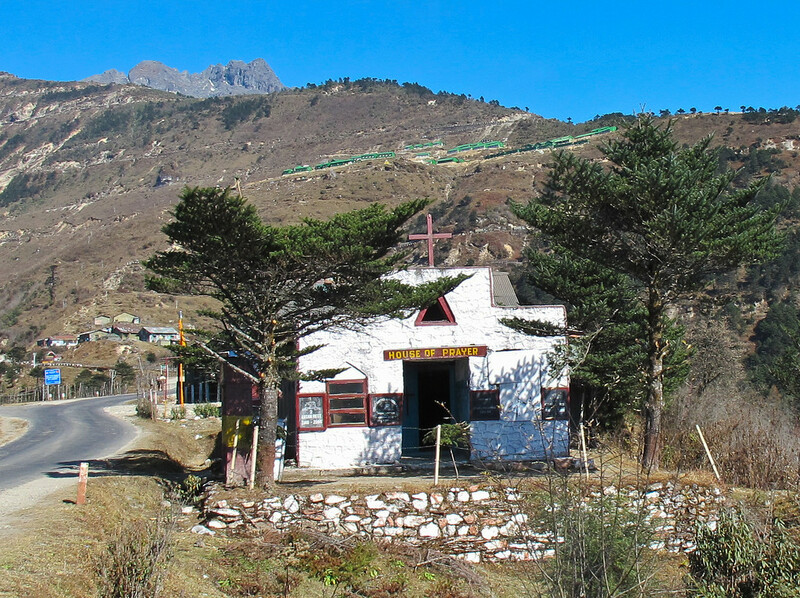 This House of Prayer was in the mountain area far north and on an Indian Army base. I thought this was in interesting collection and reminded me of many of the village churches I worshiped in as a kid. No worries - I have albums full of Buddhist Monasteries as well! You should be able to click on the image to get a higher resolution view. 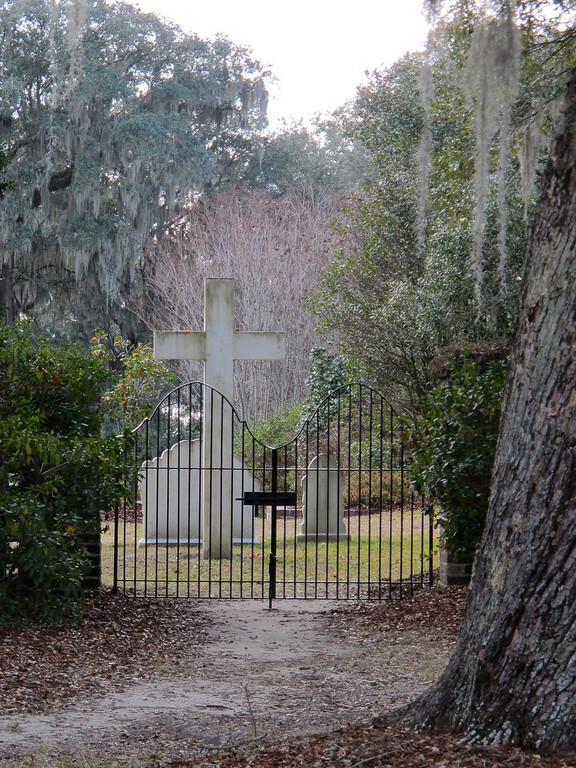 Mepkin Abbey, Moncks Corner, S.C. When PETA harassed the Franciscan Monks of Mepkin Abbey into giving up chicken farming they turned to mushroom growing. I had no complaints about them taking up mushrooms although I originally hoped they might decide to be the Fudge Making Monks of Moncks Corner. You must admit it has a ring to it! 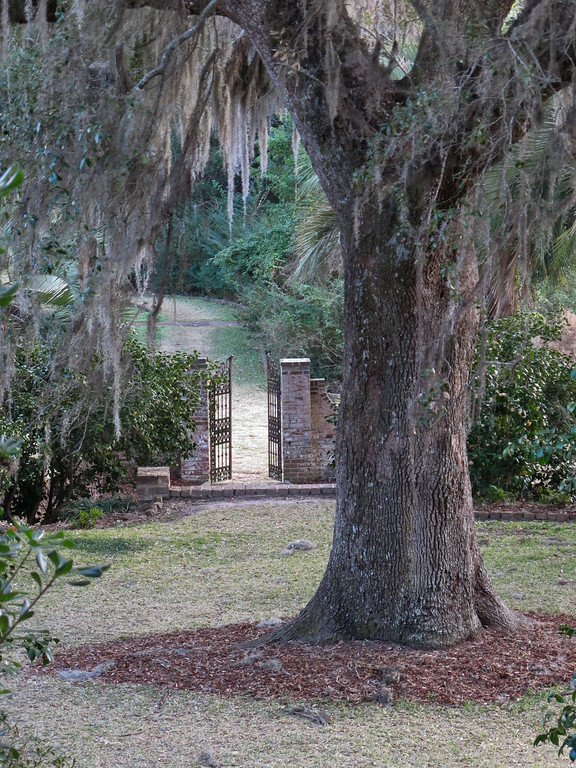 The gardens are so beautiful it is worth a drive (check your directions) any time of the year and now you can pick up mushrooms. Here is the mushroom story and a link to the online store. The monks are pretty high tech. Okay kids. I need to get my shower and get to bed. Another day ends. 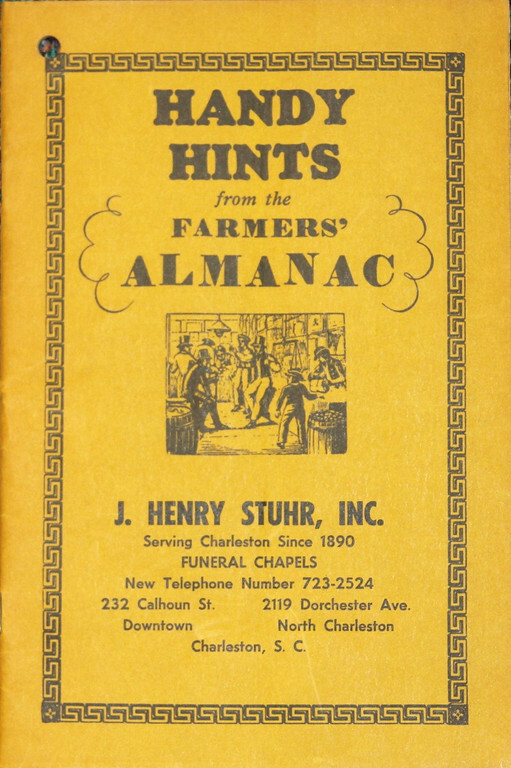 Just for fun, these are some heart healthy tips from the Farmers' Almanac 1972 sponsored by J. Henry Stuhr, Funeral Chapel. Truthfully they seem a little dated even for 1972 but perhaps they kept reprinting year after year without updating. I can live with these! Hi ho, hi ho, it's the lazy life for me! Don't run or walk fast to catch anything - train, bus, streetcar of any other vehicle. Don't walk against a high wind as this throws an extra strain on the heart. Don't do anymore climbing than is necessary. Slow up - use moderation in everything you do. Get out of bed slowly. Cut down the speed at which you work or work for shorter hours is possible. Go to bed early. Take a nap, or at least lie down during the afternoon. Maintain a serene, optimistic outlook on life. Accept the situation and adjust to it cheerfully. I imagined John Doe to be a solitary, lonely gentleman but perhaps not. 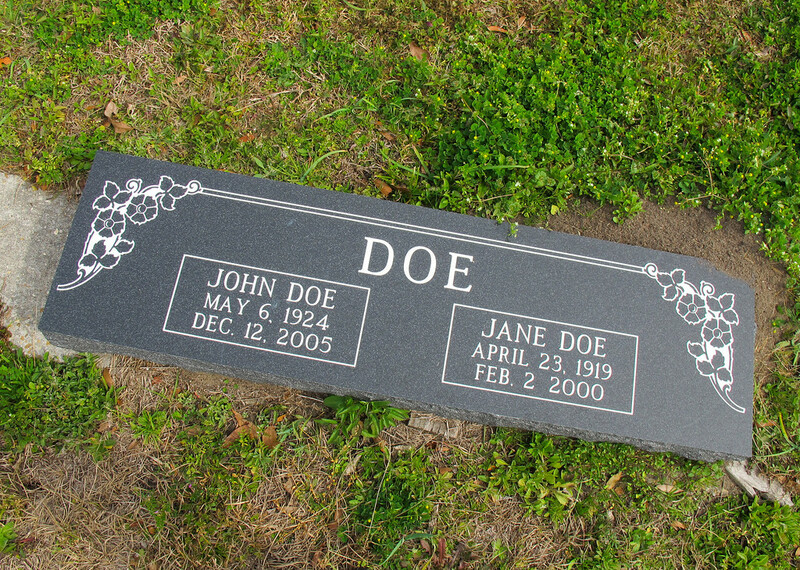 Married to Jane Doe?! Who knew? According to Wikipedia, in the UK, Australia and New Zealand they use the name Joe Bloggs as we use John Doe? These are other "place holder" names: Average Joe, John Smith, John Q Public, Joe Shmoe and Tommy Atkins. 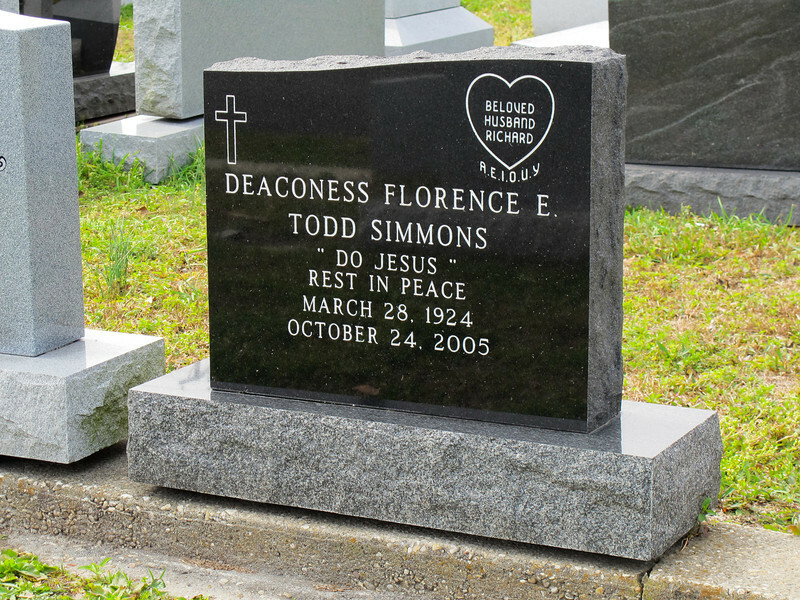 Below, I guess we can imagine what the Deaconess' favorite expression was. "Do Jesus." May she rest in peace. Do Jesus. 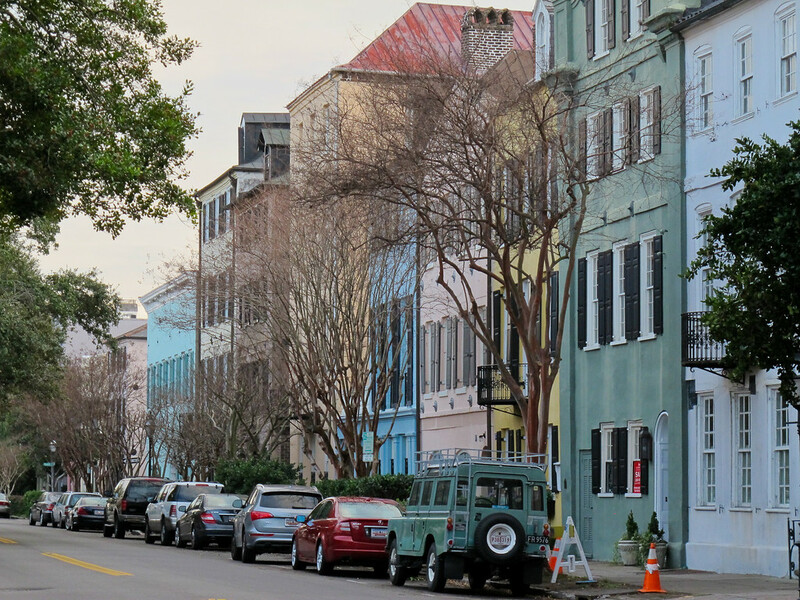 There are so many trees on this stretch of East Bay St. that it is hard to get a good picture of the row of houses that make up Rainbow Row. It is a little easier during the winter with some of the trees bare. Check out all these google images: Rainbow Row. 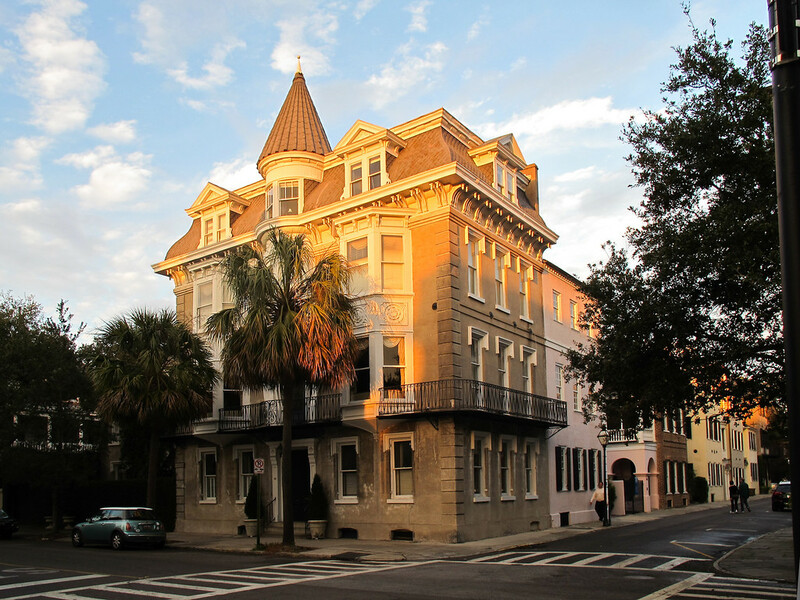 Rainbow Row: After the Civil War, this area of Charleston devolved into near slum conditions. 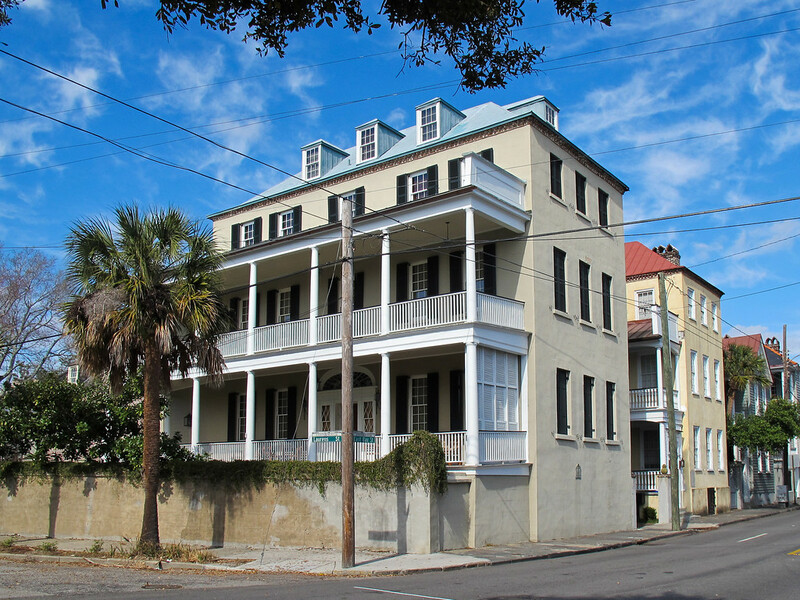 In the early 1900s, Dorothy Porcher Legge purchased a section of these houses numbering 99 through 101 East Bay and began to renovate them. 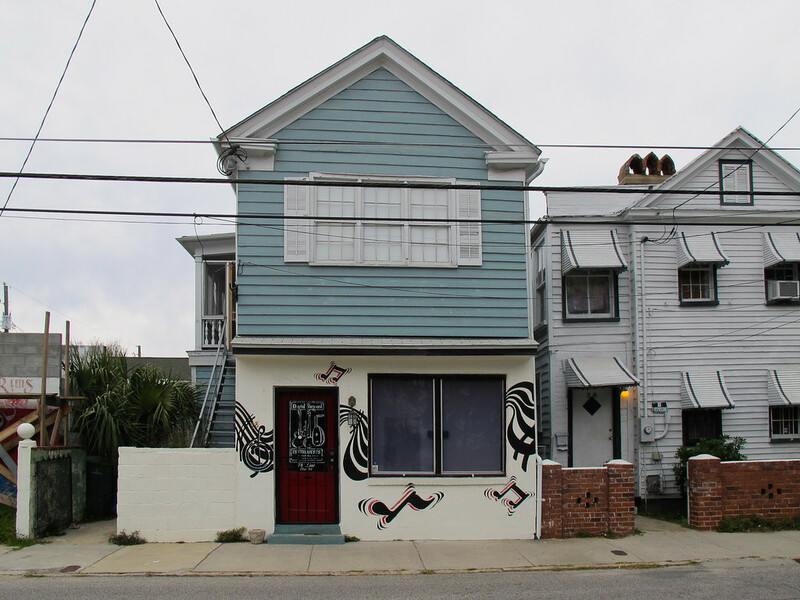 She chose to paint these houses pink based on a colonial Caribbean color scheme. Other owners and future owners followed suit, creating the "rainbow" of pastel colors present today. The coloring of the houses helped keep the houses cool inside as well as give the area its name. 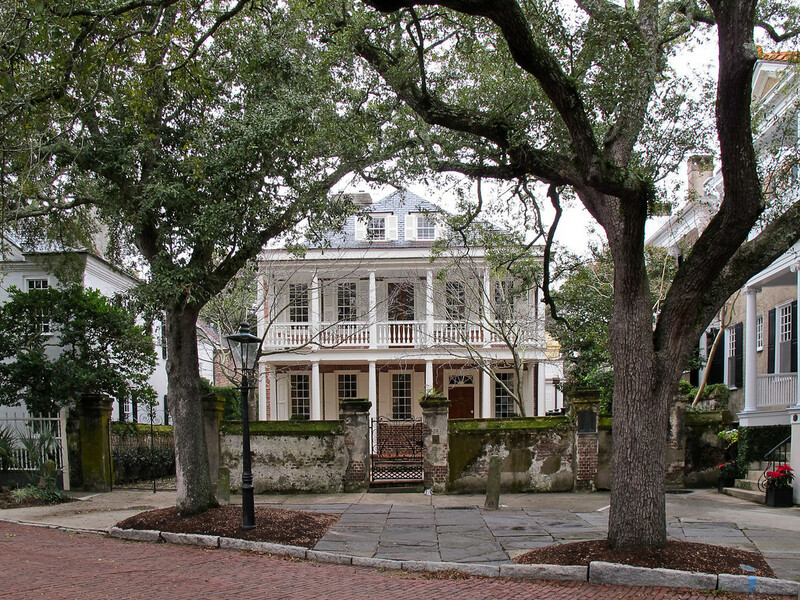 Common myths concerning Charleston include variants on the reasons for the paint colors. 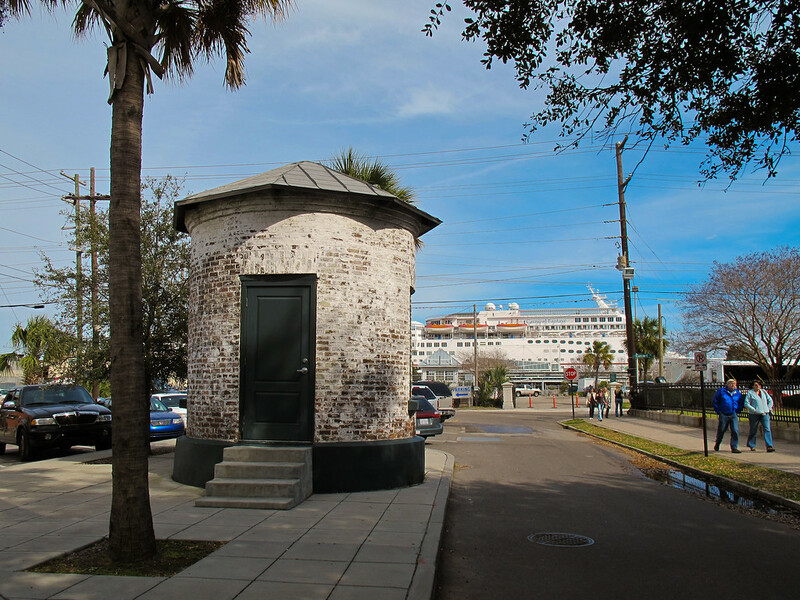 According to some tales, the houses were painted in the various colors such that the intoxicated sailors coming in from port could remember which houses they were to bunk in. This vintage car happened to come by at just the right time! 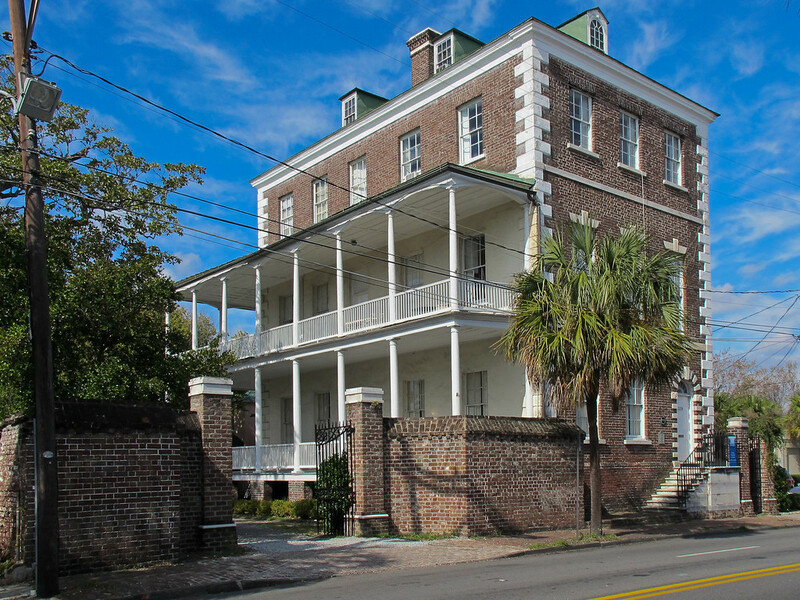 College of Charleston, Charleston, S.C. 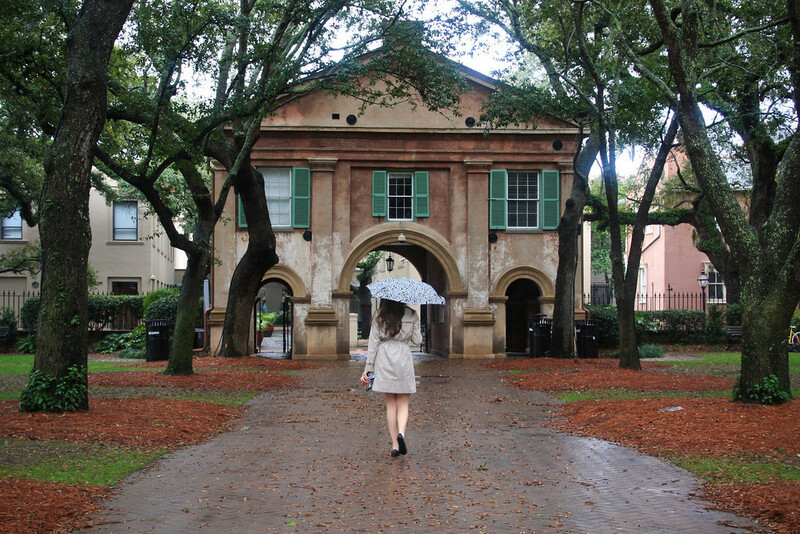 I was taking the short cut through the College of Charleston campus back home and this gal with an umbrella was kind enough to walk right into the perfect spot. Thank you! Rainy day. It always seems to rain during the Southeastern Wildlife Exhibition but this year we happy to see it. I've been going through closets and piling old clothes into give-a-way bags. It is long past time to clean up around here. I put an ad for five minutes on Craigslist and a lady my size is supposed to come by and pick them up off my porch. I walked to Harris Teeter this morning and it seems to me the price of eggs has gone up. I'm talking Cadbury's of course. Yum. I admit I didn't take it this evening since it is raining at the moment. This was Thursday evening when the light was so pretty. 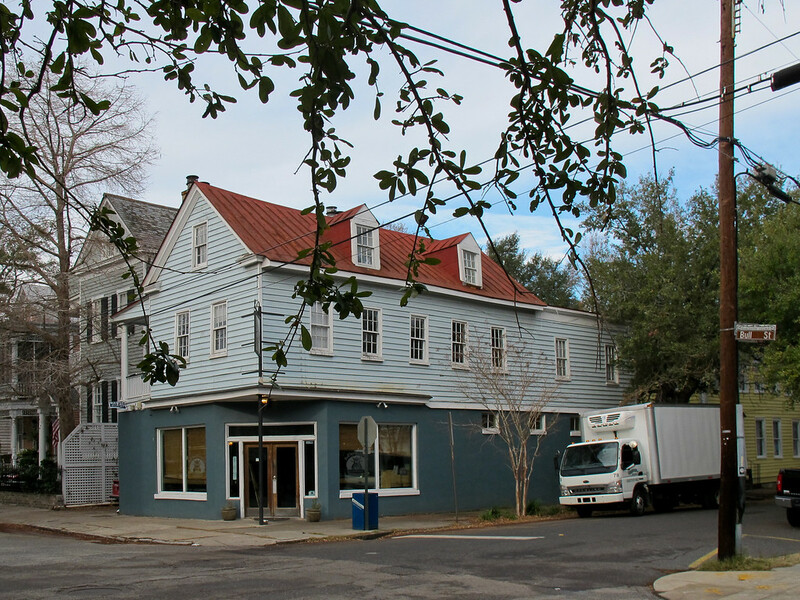 Eugene reviewed the new Heart Woodfire Kitchen on James Island. Eugene always makes me hungry. An Apology for My Twenties by a gentleman blogger in his thirties. Wow. 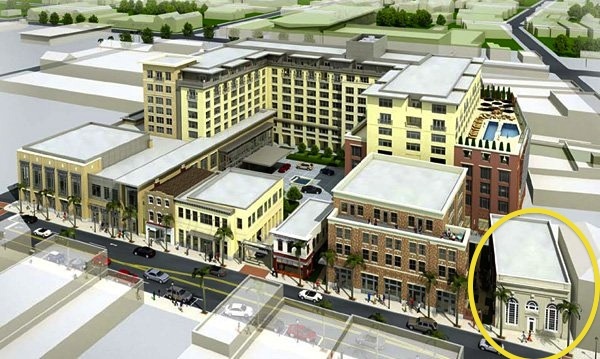 A couple of big new apartment complexes planned for Charleston. I'd better go take some "before" pictures quick. 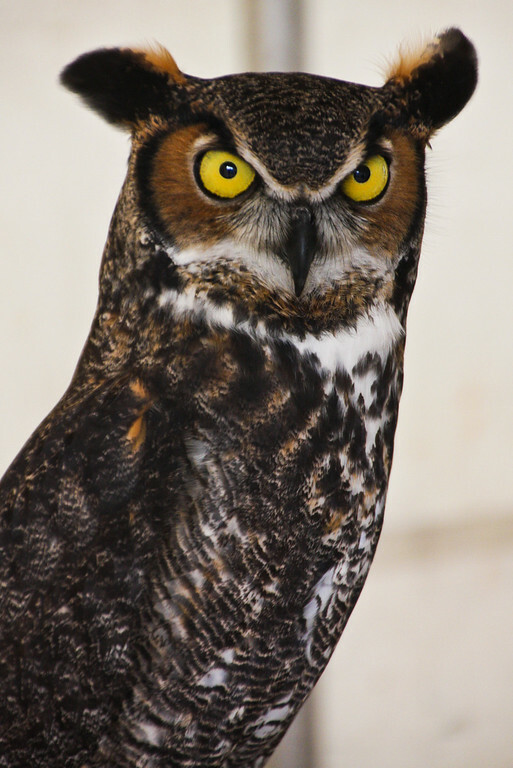 Did everyone go get wild at the Southeastern Wildlife Exhibition today? I walked through Marion Square so early they actually asked me to leave the tents since they were still setting up. Oooops. 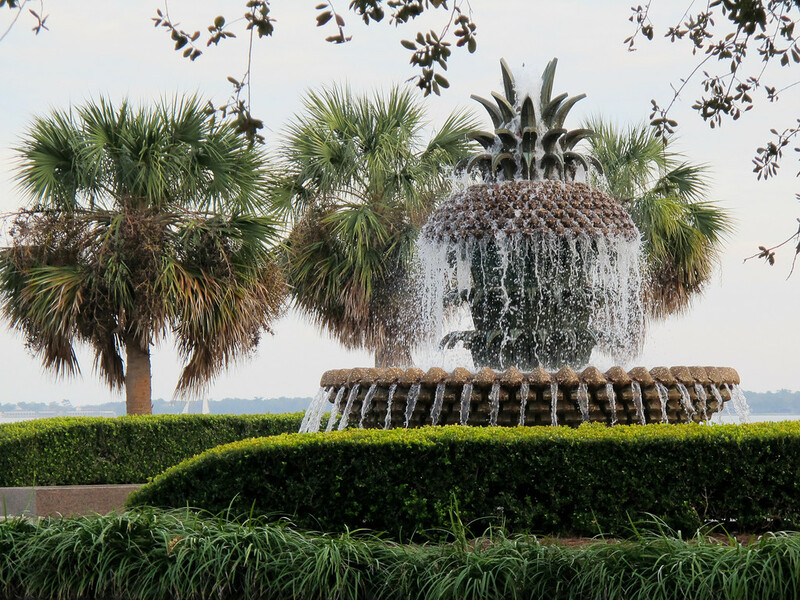 SEWE, Marion Square, Charleston, S.C.
Sweet little things. They were catching a last minute snooze before the Southeastern Wildlife Exhibition crowds descend on them. Zzzzzzz. They are both male and still need names. 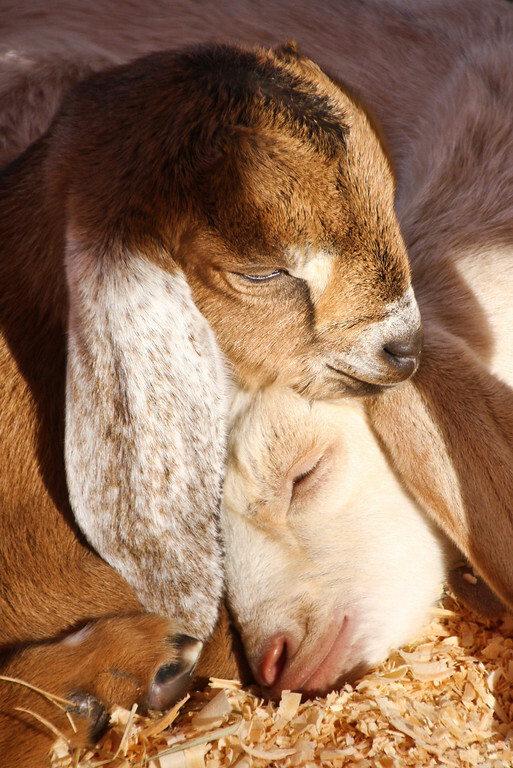 What would suit two little goat boys? 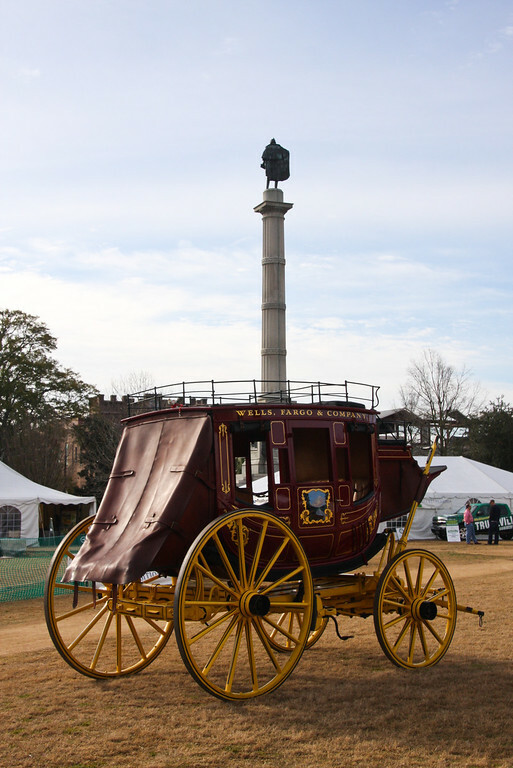 John C. Calhoun, Marion Square, Charleston, S.C. I'm not a big fan of John C. Calhoun. In years gone by they raised his statue on a pedestal to keep people from throwing things at it. I may not throw things at him but I do enjoy making him roll over in his grave by posing him in comical poses even if I have to lay on my belly to do it. 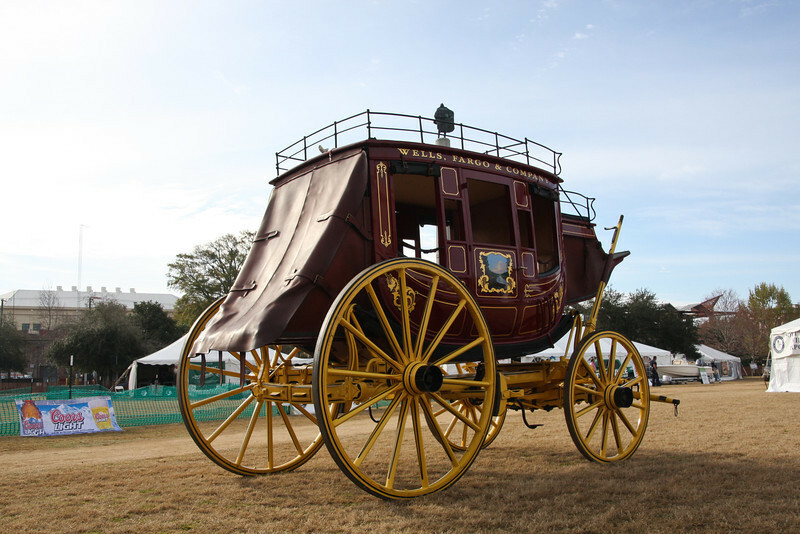 This morning he was riding into town for the Southeastern Wildlife Festival on the Wells Fargo Carriage. Check here for the rest of the series of John C. Calhoun and his antics. Ride 'em cowboy! 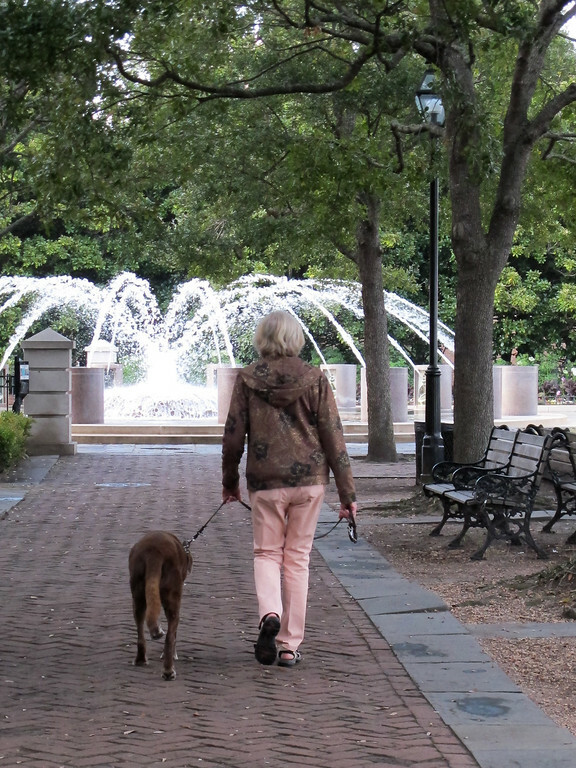 Bloggers Walking, Beaufain St., Charleston, S.C. This isn't like my usual "Blog Hopping" category where I link to local blogs. This time I actually bumped into two of my favorite local bloggers! 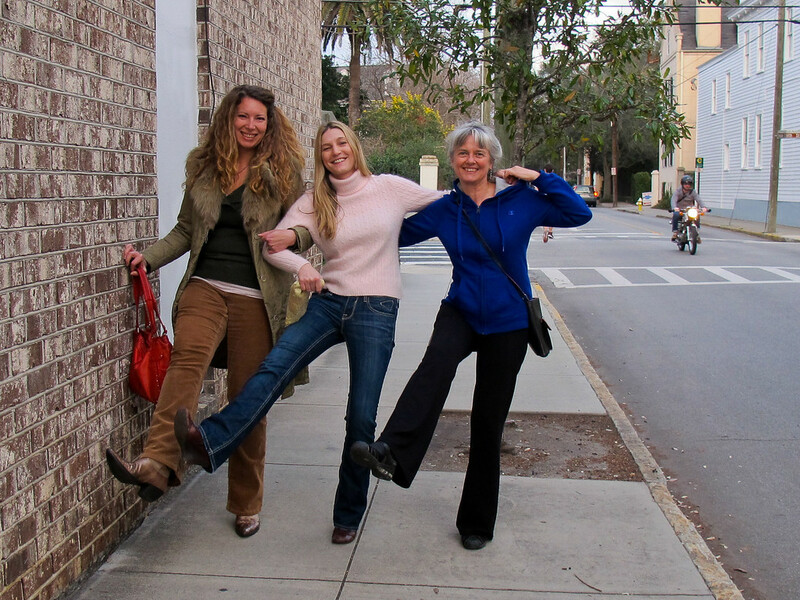 Left is Kristen Walker from Charleston InsideOut and in the middle is Jessica from Children of the Corm - a Charleston garden blog. We asked a couple passing by to take our picture. How fun is this! I was pleased that they recognized me as I marched by. 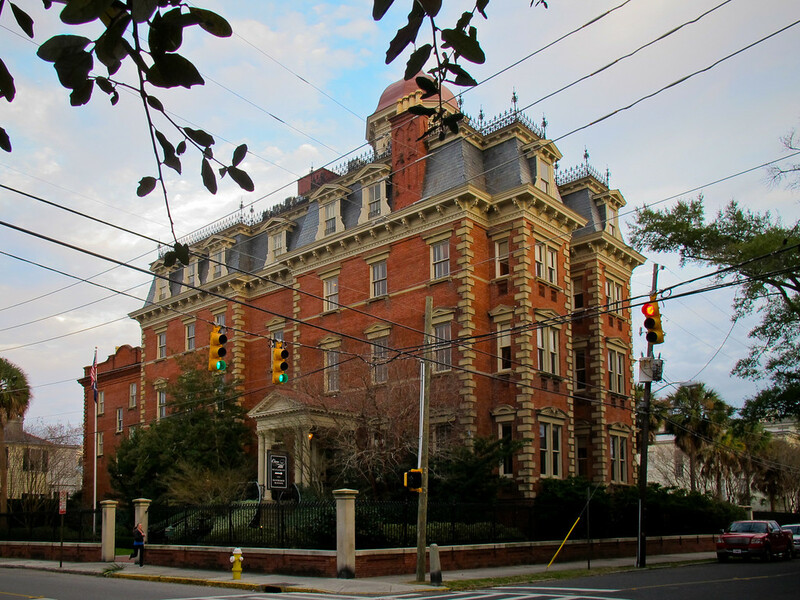 I had my camera ready and in hand because I had just snapped a picture of the Wentworth Mansion. The impressive building used to be an insurance company when I moved here and now is winning awards left and right as a top destination hotel. What a great building. It's the weekend kids! Celebrate. I spent part of my day at the Mount Pleasant Hospital in meetings and ended up home early enough to walk in the pretty light. 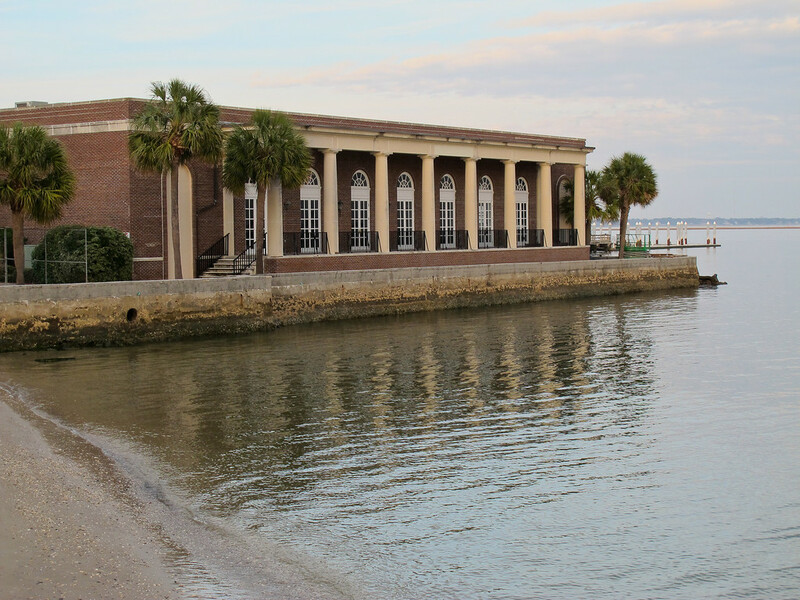 I did a good loop, found myself down at the Waterfront Park and walked along the Battery. A lot of people were out although I seemed to catch the scene looking abandoned. Tents are being put up for Southeastern Wildlife Festival festivities. I almost forgot that was this weekend. 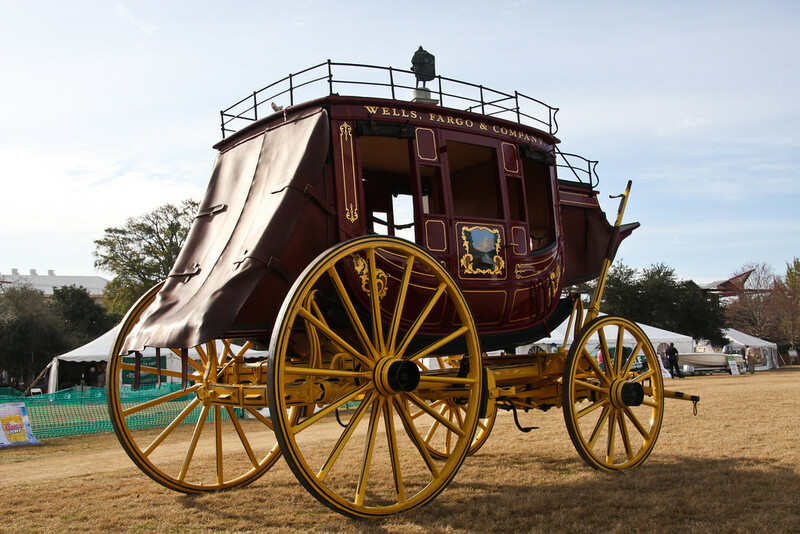 The animal lovers and animal hunters are coming to town! Bull St. Gourmet, Bull St., Charleston, S.C.
You listen to me talk about eating at the Bull St. Gourmet on King St. but this is the original Bull St. Gourmet location. 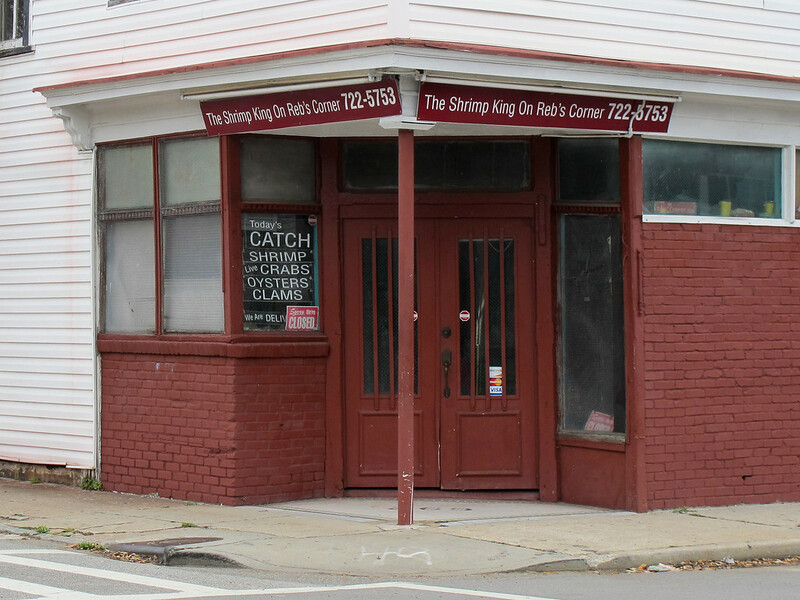 It is still a popular spot actually on Bull St. Food writer and cookbook author Holly Herrick wrote about both locations on her blog: Holly Herrick. It is getting harder and harder for me to go for a walk knowing the tasty treats inside all of these locations. I've heard so many people say they liked the Notebook. Now I know why! Poet Marcus Amaker has a new website. I need to go see these paintings of the image in a reflection ball at the Robert Lange Studio. Gorgeous! G'night kids! My couch is whispering my name. 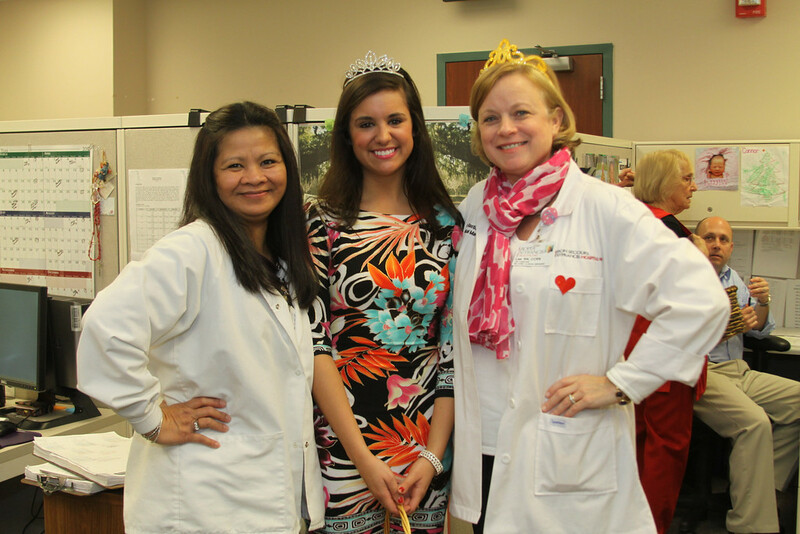 Thanks to Alexandra Seabrook, Miss College of Charleston for putting on her tiara and heels and spreading smiles all over the hospital this morning. 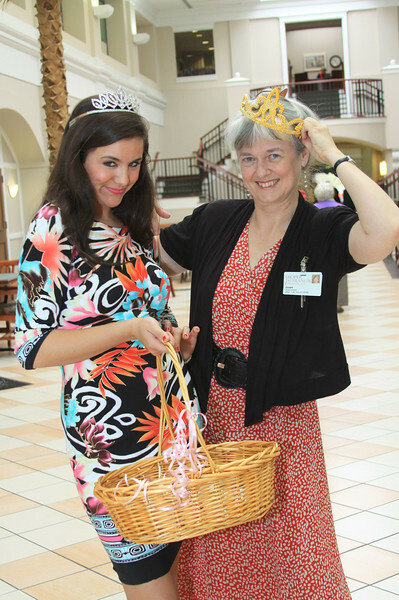 She was such a great sport and I marched her all over the building passing out candy treats and posing for pictures. She had the most dramatic high heel shoes on, her feet must have been numb. 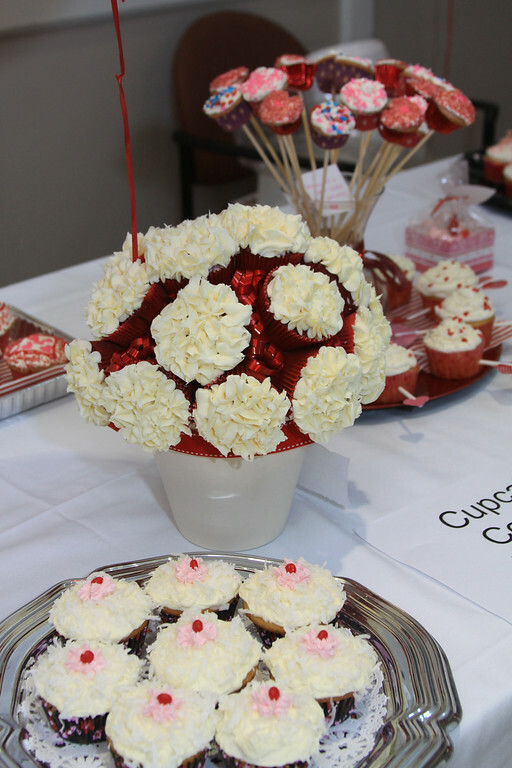 I stayed up late last night baking coconut cupcakes for the Valentine Cupcake decorating contest. I never enter to be judged but I feel I should support the project since it is a fundraiser for my favorite charity - the American Heart Association. There was no doubt who was the clear winners were. 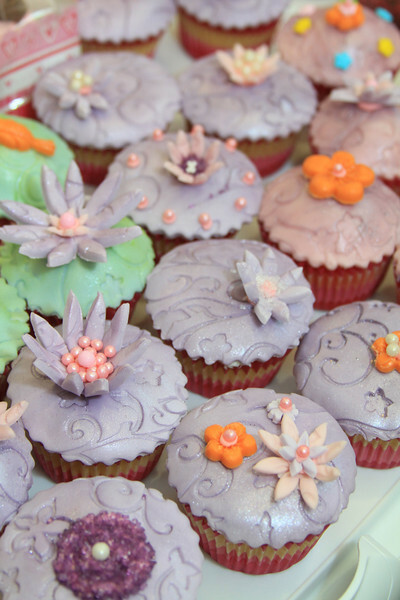 Look at these amazing cupcakes! Can anyone guess what lovely restaurant this is now? I had dinner here this evening with my friend Jo and her husband Tom and it was wonderful. I watched it change from the abandoned Patio Famous Tea Room to an upscale neighborhood restaurant. I wonder if anyone else remembers when it looked like this. Check out these pictures of dogs going after toys underwater. They look ferocious! I am baking coconut cupcakes for a Valentine Cupcake sale tomorrow. The house smells yummy. Edit: The answer is Trattoria Lucca on Bogard St. It was guessed quickly on Facebook. Monday is family style service with platters delivered to the table to pass around and share. Salads, pasta, meat and dessert. It was all delicious. Sweet! I took this snippet of video at the Kaziranga Sanctuary on my trip to India in November. The Grande Dames of East Bay St. The sky was so brilliantly blue yesterday it made me look at everything with a fresh eye. I never think of East Bay as a beautiful street but look at these grand houses. They are incredible. Cars move quickly along here so we aren't as likely to appreciate how glorious these buildings are. I've mentioned that my own house (not one of these) is for sale. I have a big old wooden historic house built in 1840 and share it with two tenants who are kind enough to contribute monthly to my tax and insurance bills. My hope is to downsize to something small and low maintenance. 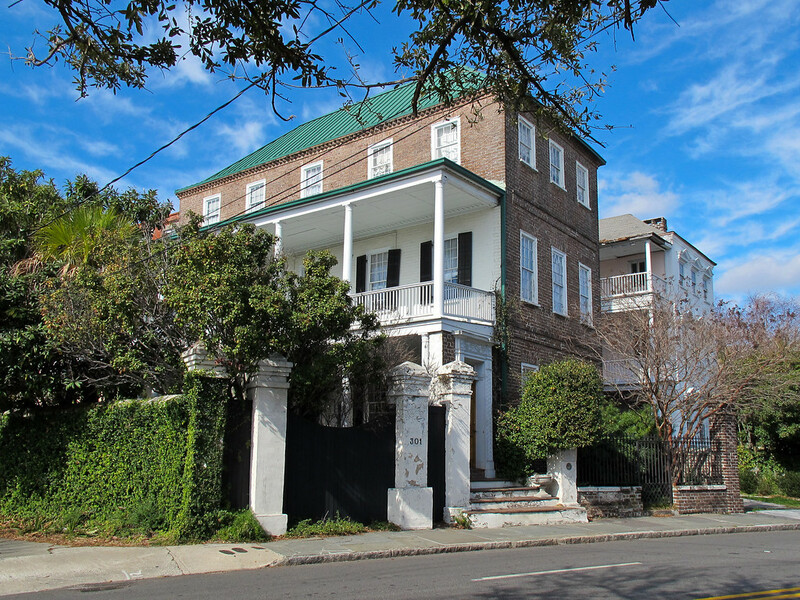 I don't expect it to sell anytime soon in the current market and remind myself that downtown Charleston isn't the worst place to be stuck. True. Two blocks from the Farmer's Market, King St., restaurants etc. Life could be worse, eh?! Meanwhile, someone looked at the house yesterday and wants to come back today so I am cleaning up and getting ready to go out for my walk. If I'd won the $325,000 lottery last night none of this would matter. I've passed this alleyway on Church St. time after time but always assumed it was private property and never actually entered through the gate. 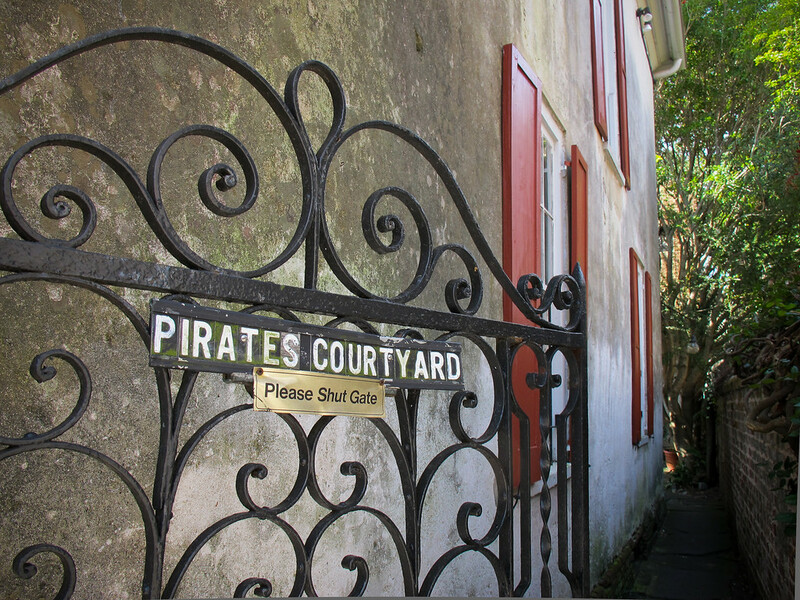 Apparently there is a courtyard at the back of what is called the Pirate's House. This travel photography website has more information: History Trekker. Holy cold toes, kids! It is chilly out there. It has been a lovely day but walking out this evening in the wind is wicked cold. I hope all of our budding blossoms make it through the night. I have my electric blanket heating up. I went to the symphony tonight and was so pleased to find a packed house. We were all there to hear Yuriy Bekker play the million dollar Stradivarius violin and play it he did. What a great treat! More info in the Post & Courier story.